Buenos Aires - IOM, the UN Migration Agency, and the Institute of Public Policies on Human Rights of the Southern Common Market (MERCOSUR) launched this week (15/08) an assessment on Haitian migration to MERCOSUR Member and Associate countries, with field work in Brazil (San Pablo), Chile (Santiago) and Argentina (Buenos Aires). The study used institutional and normative survey questionnaires on Haitian migrants in each of MERCOSUR countries. Additionally, the field work included qualitative interviews focused on the conditions and strategies of reception and assistance to Haitian migrants in San Pablo, Santiago de Chile and Buenos Aires. Haitian migration flows between 2014 and 2016 to Brazil and Chile and to a lesser extent towards Argentina, have different characteristics compared to Haitian migration that entered between 2010 and 2014. Between 2014 and 2016, Haitian migration flows were mainly composed by direct and indirect relatives of migrants already settled in those countries. According to the study, Brazil is the country with the highest number of Haitians. By the end of 2016, 67,000 residencies had been granted, including temporary and permanent. In Chile, there were almost 18,000 residencies by the end of 2015, while in Argentina, the number was less than 1,200. As regards social rights, there is no robust correlation between regular migratory access measures and effective access to health, education, housing and work. However, in Argentina, Brazil and Chile, there is evidence of an acceptable level of guarantee of access to social rights, in particular to education and health. Additionally, in Brazil, the regularization of migrants has significantly contributed to the access to the formal labor market. The study includes public policy recommendations at two levels of action: 1) entry and visa policies and 2) mechanisms of integration in the destination country. 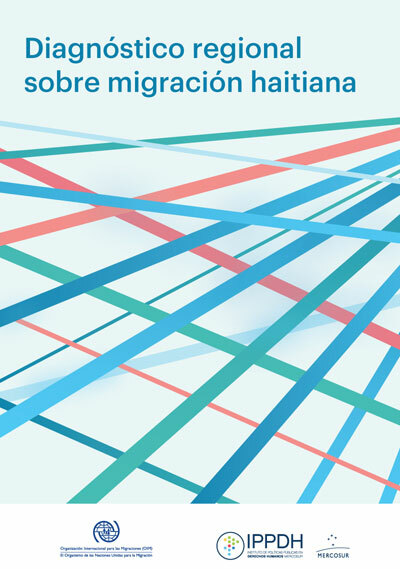 This study, funded by the IOM Development Fund and the Government of Brazil, is part of a series of projects that IOM has been implementing in South America in relation to Haitian migration, including a study on Haitian migration to Brazil conducted by IOM in 2014, which analyzed the main migration routes to Brazil, and a research in 2016 on the labor insertion of Haitians in the Southern region and the Federal District of Brazil.